Solar companies created thousands of jobs on the back of a decades-old law. Now, the state’s utility wants to rewrite it. For companies like Harkrader’s Carolina Solar Energy, the Tar Heel State is a great place to do business. Abundant sunshine, ample support for clean energy, and smart public policy have spurred the rapid growth of solar. Today, North Carolina boasts more solar capacity than every state except California. In the first quarter of 2017, North Carolina added more solar than any other state, and its solar industry employs more people than Wake Forest University. But, despite — or perhaps because of — its success, solar is facing a battle in the state. Among other things, PURPA required utilities to buy renewable power from independent producers if it cost no more than electricity from the conventional power plants owned by the utility. The aim was to source more power from small renewable facilities, like the Person County Solar Park, easing demand for electricity from coal, gas, and — in particular — petroleum-fired power plants. In the 1970s, PURPA didn’t do much for renewables. In the era of bellbottoms and disco, cheap solar power was a distant dream, and the fledgling solar industry was peddling clunky technology at sky-high prices. But solar has taken off over the past decade, and PURPA has become far more important — especially in North Carolina. Some 92 percent of the state’s solar projects have been supported by the decades-old law. While PURPA is a federal law, state regulators have a lot of wiggle room when it comes to implementation. North Carolina regulators have historically required longer contracts from utilities, making solar an especially attractive option. That’s because while solar poses high upfront costs, it pays for itself over the long term through savings on fuel. With conventional power plants, by contrast, operators continue to pay for coal or gas over the life of the plant. Utilities make money in part by owning and operating power plants. But when utilities are required to source power from independently owned solar arrays, their own coal- and gas-fired power plants generate less electricity — and less revenue. Moreover, the need for additional capacity is shrinking. North Carolina’s electricity demand has flattened in recent years. Duke also wants to shorten power purchase agreements so that the company isn’t locked into long-term solar power agreements if the price of coal or gas falls, or if a new solar installation proves cheaper. But renewable-energy advocates say this isn’t a problem with solar. It’s a problem with the aging power grid — some places haven’t seen an update in more than 50 years. North Carolina, they contend, needs better transmission lines and more energy storage. Solar companies are hopeful they can reach an agreement with utilities. 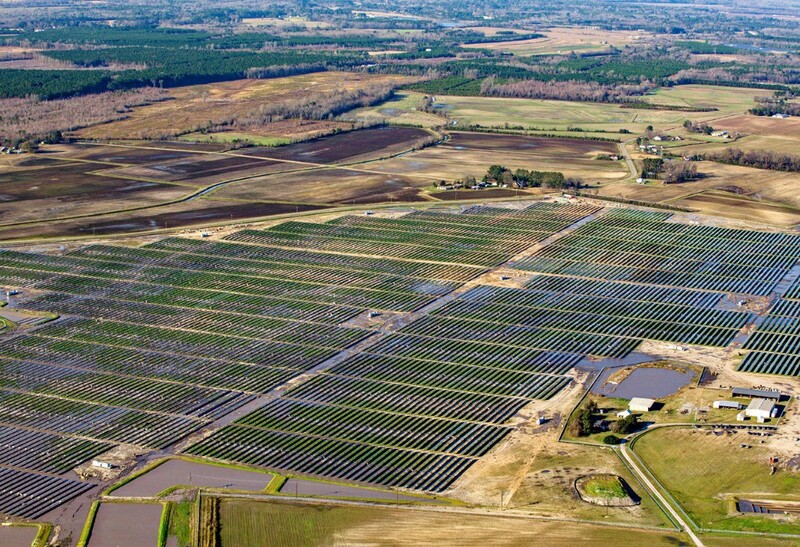 Steve Levitas, a lawyer for Cypress Creek, said that the solar industry “has been trying to work toward consensus” with Duke, and is open to new policies that allow solar to continue its impressive growth. Last week, the state House passed a sweeping, bipartisan, Duke-backed energy bill that would curtail PURPA while creating new incentives for solar. The bill would shorten contracts for solar installations, cap the volume of renewable energy that utilities are required to buy from third parties, and create a competitive bidding process for new solar projects. At the same time, the bill allows ratepayers to buy power directly from community solar arrays, and it would establish a rebate program for rooftop solar, among other changes. On balance, the bill appears to favor the utility. Solar firms have largely kept quiet on the measure.